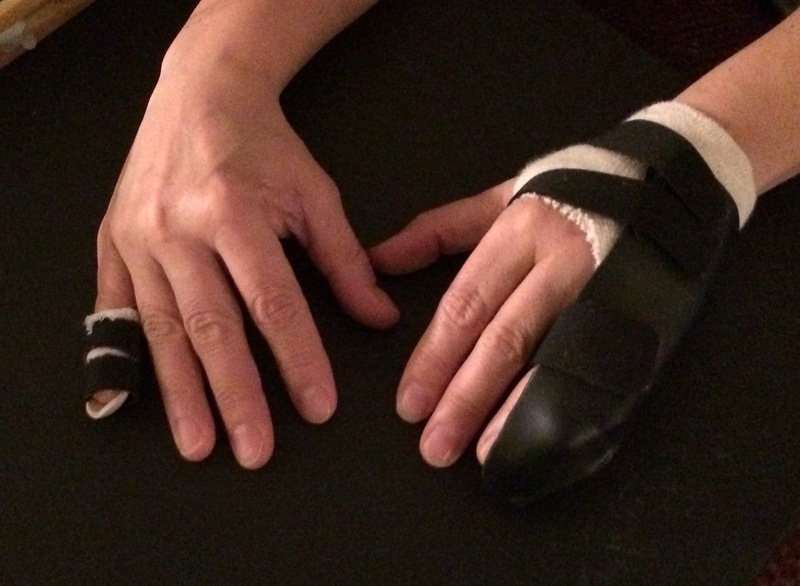 This is a follow-up to my post on January 16, 2014 entitled Writer’s Hands. I resisted the temptation to include a picture of my exposed, post-surgery, pin-laden, stitched pinkie. I found it fascinating, yet others have described the graphic photo with other less-than-desirable adjectives (i.e, gruesome, gross). I can now type with 5 fingers, 3 on the right and 2 on the left. Unfortunately, I still cannot wash dishes or vacuum. (Okay, I must confess. I actually don’t really mind doing dishes. In fact, I actually enjoy housework in general. Strange, I know.) Using my cane is a little tricky, but not impossible. In addition to my hand issues, I am now attending physical therapy regularly. It feels good to be moving again, and I am exhausted (and somewhat uncomfortable) afterward. And at the end of the day, I am grateful to be making progress every day toward a full recovery. Ironically, my temporary disability is what has allowed me to write more, and that writing, in turn, has facilitated my healing process.